The Good Works Gang loves dogs and cats, perhaps even more than people. They find what we in the rest of North America call Strays and put the word Rescue in front of Dog or Cat and now they have a mission to care for and find homes for them. 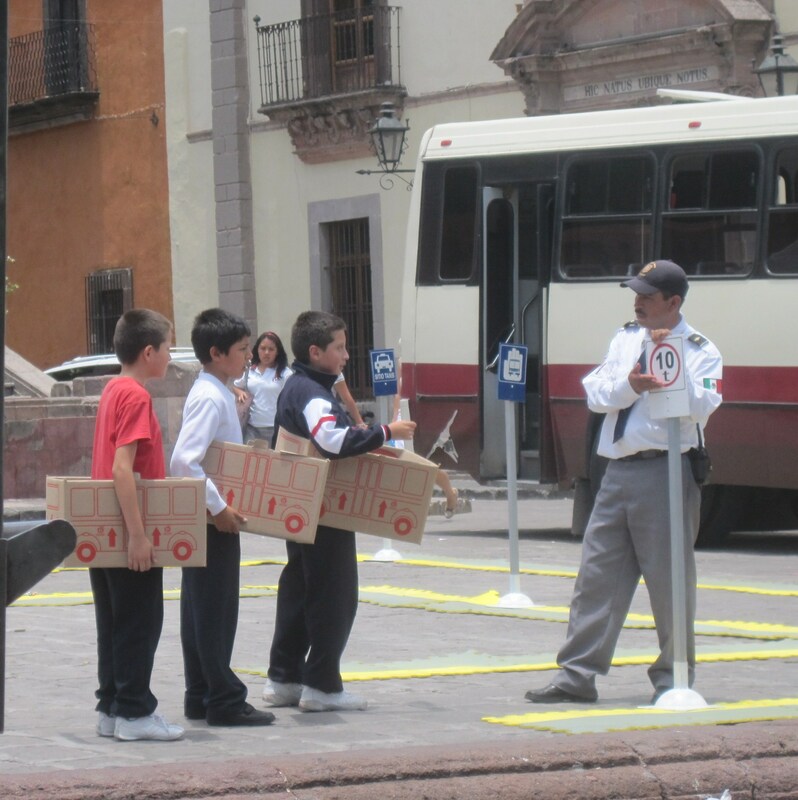 First they round up stray boys they find in San Miguel. They are then boxed for two reasons. First it is harder to get away and secondly everyone likes gift wrapping. 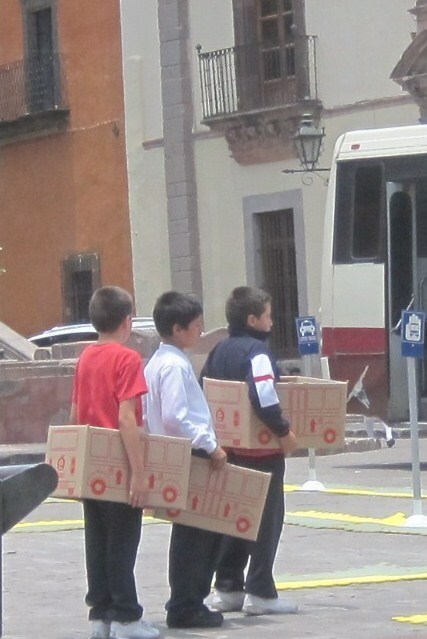 Here are three Boxed Boys waiting. Aren’t the boxes clever with little cars on them. Policemen are hired because Boxed Boys can be unruly. They think they are cars and ever so often the Police Officer lets them play cars. Notice they they all have colorful red shirts. Another idea by veteran Gift Wrapper Suzy Michaels. Tables are set up so that expats can bid on which Boxed Boy they want. It is made very clear that all money goes to the SPA to help Rescue Cats and Dogs. Each Boxed Boy is given a number and there is a Silent Auction for the Boxed Boys. The Boxed Boys are soon set free by the bidders as they are quite unruly. Next week the SPA will be offering Boxed Maids. This is a very popular event because if they don’t work out you can let them go and avoid any labor laws. The following is an excerpt from an unproduced play I wrote called the Gangs of San Miguel. The picture is a clue to the script. 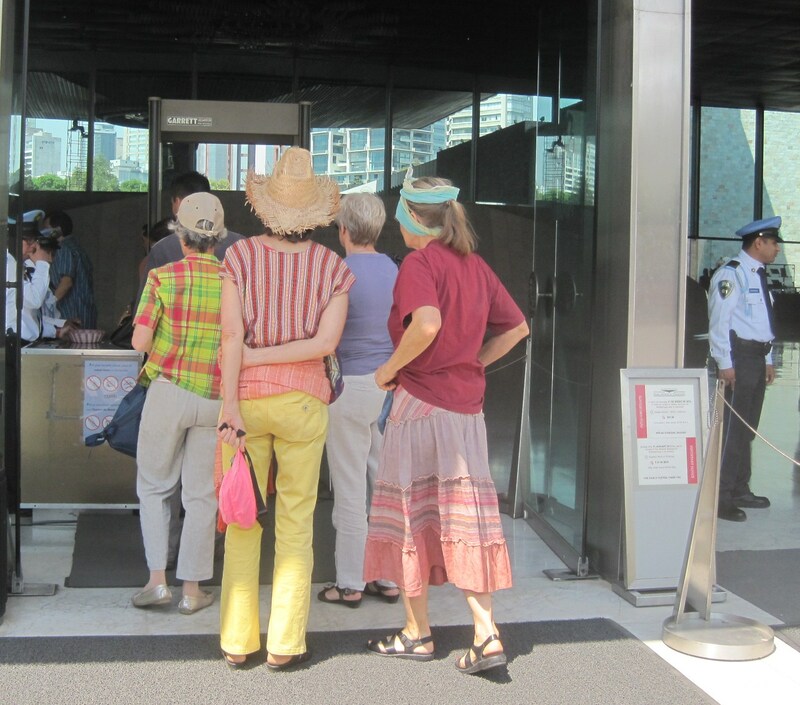 The door opens and in walks two women with scarf Burkas on under straw hats, floor length skirts, and lots of jewelry. I will tell you later but first, I have customers to deal with. Why are they wearing scarves covering their faces? I didn’t know there were Muslims in Mexico? Is that a Burka. So much to learn and so little time. They are noviates. They are nuns? Dressed like that. No, no, not noviates for a nunnery but into a very popular Gang. They are in a gang and they have masks on. That means only one thing back home. They going to rob us? What should we do? Nothing. I said the Gangs of San Miguel are good gangs. There will be no violence. They have just had facelifts. They just had Facelifts and are part of a gang. That doesn’t make sense. Do you know what Day of the Dead is? Yes November 2. Everyone goes the cemetery and decorates graves. I see skeleton statues all over town celebrating it. No, no that is what the guidebook says. But that is not really what it is. Do you know who La Catrina is? Yes isn’t she the patron saint for the Day of the Dead. A very, very thin almost skeleton like old lady. They sell little statues of her all over town in the markets. No, the La Catrina statues are created to honor famous ladies who have had facelifts – like Nancy Reagan and Leona Helmsley and our Heroine – Joan Rivers. You mean they have nothing to do with Day of the Dead. Sort of but the expats of San Miguel have changed many of the local customs – sort of Americanized them so they don’t seem quite as foreign to us. 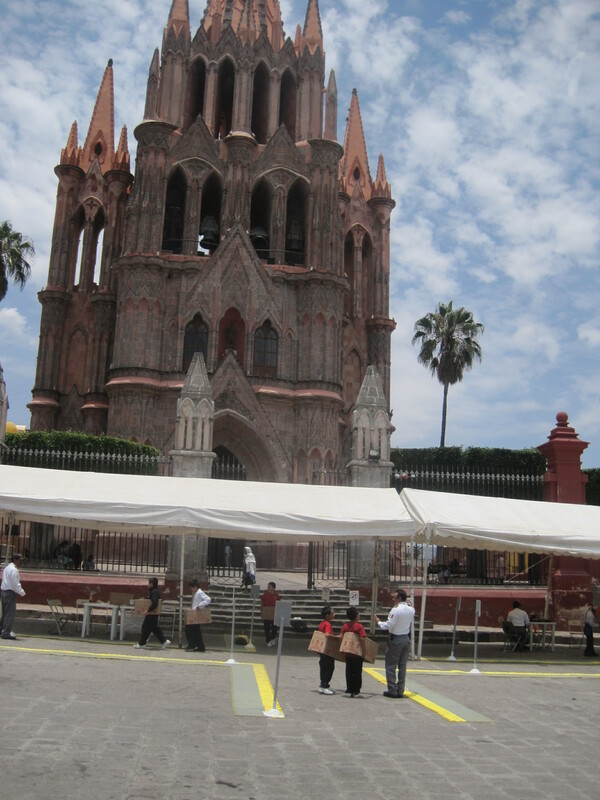 November 2 in San Miguel is the National Day to celebrate Facelifts. Oh, I did notice that a lot of women here with high cheekbones and skinned pulled tight. I thought there were sick. Not sick just thin. These ladies have come to San Miguel to look like Catrina and the burka covers the scars until their reveal day. Then can join the ever so slim Day of the Dead Gang. Oh, so that is why they are noviates? Yes. You know we can’t tell them apart. Yes they do all look the same. That is the miracles of Plastic Surgery here. It is like the Stepford Wives but more like the Stepford Grandmothers. Another rule, never, never use a personal name in a conversation with a member of the Day of the Dead. They are all called Darling. Once they have a facelift we have no idea who they are. I have lost several friends to the Day of the Dead Gang. If I didn’t know where they lived I could never find them in a crowd. I always turn the other way when I see one coming down the street because I have no idea if it Sara, or Corinne or Carole. It could be anyone and they all talk the same way. In fact you can hear voices but you can’t see any lips moving. Why don’t their lips move? Okay put you hands on the side of your face and pull back. Now try to say something. I couldn’t say a word. My skin was too tight. So you understand why when we avoid them. You can’t understand a word they say. We just say “Darling, you look marvelous.” And we think they smile back but their faces don’t move much so we aren’t even sure if they recognize us. Imagine being unable to communicate or have any expression in your face. Just wide open eyes and a mumble or two. That is why I only meet them in their houses because then I know who they are. And I never go a Day of the Dead Gang Party. You just go Darling this and Darling that and have no idea of what they have said. As they faces relax words come but imagine enforced silence for months. Have you had plastic Surgery? The Anthropology Museum in Mexico City documents the History of Mexico. It is brilliant but with all museums, there has to constant updating and recurating. This year in response to the sucess of the Jean Paul Gaultier exhibit at the De Young in San Francisco, the Museo Nacional de Antropología (Ciudad de México has created a new exhibit called Expats in Mexico 1992-2012. I wonder if they speak English?